The top 10 producing agents from the five Peruvian tour operators that work with the Rivera Nayarit and Puerto Vallarta and the 12 agents from the two most important tour operators in Medellin had the opportunity to fully experience both destinations. The Riviera Nayarit and Puerto Vallarta continue their targeted strategy of bringing tour agents on FAM trips, which they host collaboratively in order to promote their joint campaign throughout South America. On this occasion, the first week of March was dedicated to a FAM trip for travel agents from different areas of Peru and Medellin, Colombia. “The best way to sell a destination is to know the destination. By experiencing it for themselves the agents add to their tools of persuasion in order to sell more effectively,” explained Pamela Zepeda, Sales and Promotions Manager for the Riviera Nayarit Convention and Visitors Bureau. The invitation was extended to the top 10 producing tour operators from Peru; most of them were managers. The trip took place from March 4-9. Their itinerary began in the Riviera Nayarit, where they zip-lined through the mountains at HIguera Blanca with Vista Paraíso, visited San Pancho, Sayulita and Nuevo Vallarta, then toured the attractions in Puerto Vallarta. A second trip took place from March 6-8 for a group of 12 agents from different agencies owned by two of the top tour operator companies in Medellin. This trip was geared towards reinforcing the new Aeromexico direct flight from that city to Mexico City. 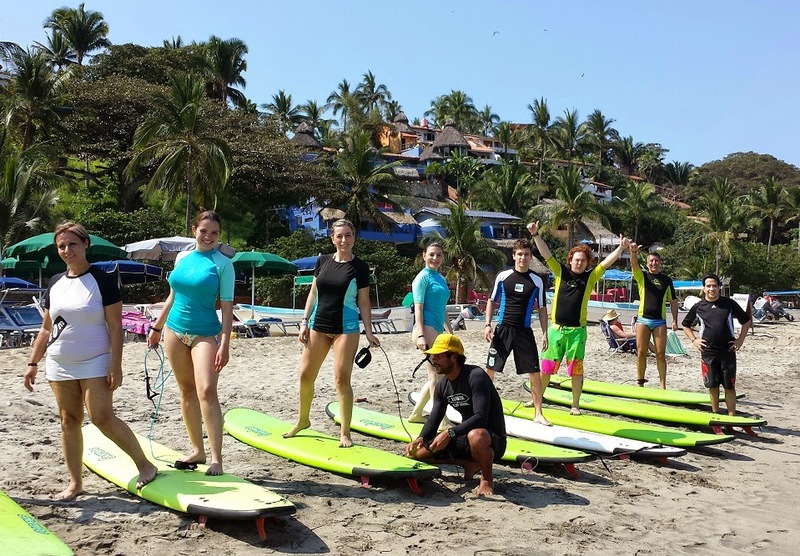 One of the top activities they enjoyed was a ride on the waves in Sayulita, the Riviera Nayarit’s Surf Capital. They also had the opportunity to marvel at the beauty of the Islas Marietas with Punta Mita Expeditions, and experience the most exclusive development in Mexico: Punta Mita. Afterwards, they enjoyed the charms of Puerto Vallarta. Both groups carried out site inspections at several hotels in both destinations, a vital part of these FAM trips that are jointly sponsored by the Riviera Nayarit Convention and Visitors Bureau and the Puerto Vallarta Tourism Trust.